If Ponce de Léon had not arrived nearly 500 years too soon in his quest for the fabled Florida Fountain of Youth; he might have discovered it at Sandpearl Resort in Clearwater. Opened August 2007, business meeting and incentive guests find an impressive array of activities and amenities for body, mind, and spirit. 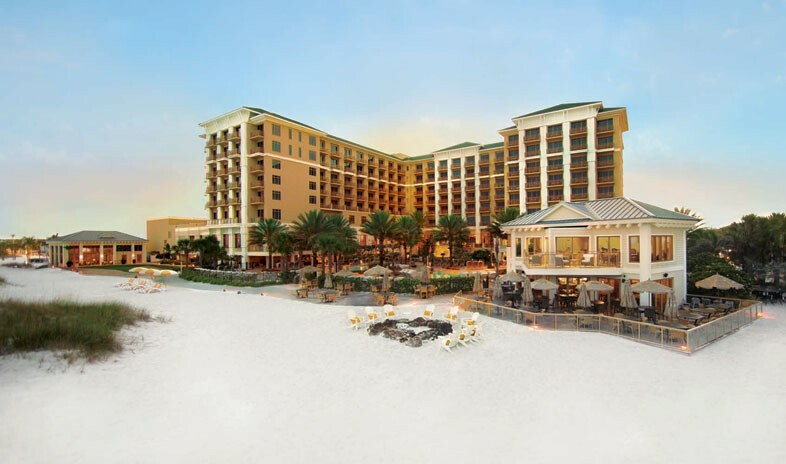 All 253 guest rooms and suites showcase Gulf of Mexico or Mandalay Bay views complemented by a lagoon-style pool, Sandpearl Spa, and Florida-fresh dining. Hunter Ballroom, four meeting rooms, and two boardrooms feature the last audiovisual technology. A meeting support team customizes life-enrichment activities like structured team-building events, marine discovery excursions and arts programs. Favorite activities nearby include: golf, deep-sea fishing, Busch Gardens, and the Seminole Hard Rock Casino. Beautiful property....beautiful beach and pool area, beautiful sunsets, with a fire pit on the sand...an added bonus! This is a beautiful new property. Our event took place shortly after opening, so apparently working out some kinks and issues, but overall a good experience.